You can´t be more honest than to yourself | Einfach machen ! The best thing about it is that I can write anything in it and it won´t judge you. I can be as honest and genuine as I possibly could and for me this is a true gift. In my opinion you are not 100% honest when you talk to others especially not when it comes to “hey man how´s it going?” – and the good thing about honesty is that it is makes you free of guilt and doubts because you named it(on paper) and it´s even more cool when you reread it. It´s so much easier to dive into certain moments when you know how you feld about it. Emotions feelings doubts troubles circumstances are awesome to put them into wording. 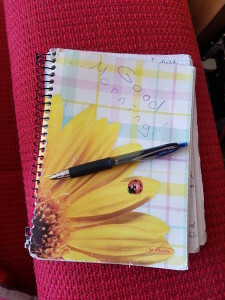 For me today is the day where I read my journal from the begining. I will give myself time and enjoy the ride. 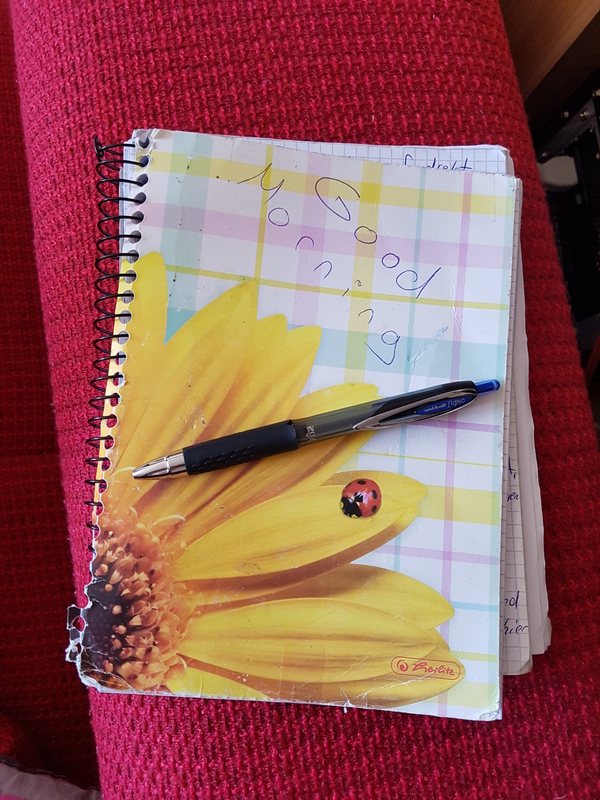 I started journaling last year while I was listening to Mathew Mockridges *Smart Entrepreneur* Podcast and he said many times that one of his routines is to put things into writing and become more free in his head. So I did too. After 6 weeks it became a habit to write in the morning and I got even fun out of it. With the time though I slipt a day and another one and another one and I told myself “tomorrow I will write for the week”. With the time I couldn´t keep up the habit until ending of the year. From then on I am journaling 95% every day and the last weeks I added a new category into it called “I´m thankfull for…” and I list pretty much all I´m thanktfull for like my good life or playing in a band or my 3.50€ in my bank or hanging out with good friends or my health or my possibilities and the sunshine. I try to bring variety in it with no dublication of things. Writing also keeps me calm and let me refelect pretty good about my situation. Surely another big bonus is a journal when it comes down to measure something. The girl you dated last your the weight you lost the habits you got rid of the skills you build up etc. A game changer enjoy writing much more was to get an awesome pen. This is true. There are so many pens out there which are giving you the feeling that your typographical skills are like crap in a tin but when you get a pen which fits for you – everything changes. Alright said that if you´ll excause me I check out what I did 365 days ago. Sometimes that thought scares me – so much time had passed that quick but by journaling you see partly how you spend your time.